Now would be the time to go grab your camera. Trust me, it will make life easier to see this first hand. 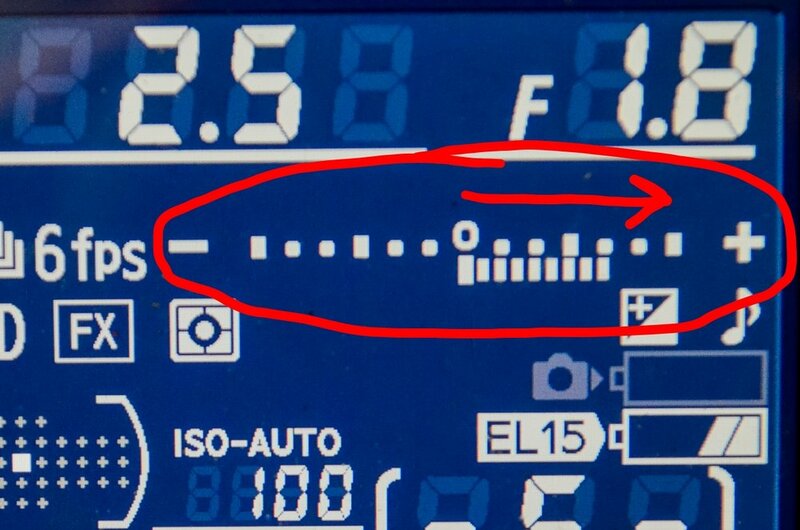 Ok so- when you look through your viewfinder you can either have little tick marks that resemble a number line, or on your LCD screen a number line that looks similar to the one above, right? Ok now TECHNICALLY speaking, a "properly" exposed photo will be when your light meter rests at 0. Meaning: that between your aperture setting, your shutter speed selection, and your ISO, if your light meter falls right in the very middle of that number line, your photo should look pretty dang good as far as the amount of light in the photo. I typically shoot photos with the widest aperture that my lens allows, so adjusting my shutter speed is the first thing I personally change when attempting to get a properly exposed photo. If your light meter is looking something like this, your photo will be underexposed, aka too dark. If your light meter is weighted to the left, your photo will be under exposed. If you look through your camera's view finder and see that your light meter is weighted to the right, your photo will be over exposed, or too bright. The light meter here tells us before we ever take the photo that it will be over exposed. We know that because the light meter is weighted to the right side of the "number line". In summary, if you can familiarize yourself with your camera's light meter, I think you will quickly find yourself getting better photos in any lighting situation in no time at all. Just simply adjust your settings such as aperture, shutter speed, and ISO until you find that your light meter is weighted to the middle. Once you feel like you have mastered this skill, you may even find that you prefer to and intentionally over or under expose your photos if you're going for a certain look or feel. I know this was a lot of information, so if its confusing, or you have a question about it, as always, please reach out to me and I'll be happy to clarify or re-expalin.